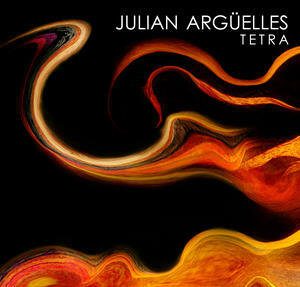 Julian Argüelles brings his current project Tetra to Sage Gateshead on October 26. We caught up with him to get his thoughts on Tetra and other ensembles he's been associated with. Julian, you are returning to Sage Gateshead with Tetra for the first time since appearing earlier this year with Loose Tubes at the Gateshead International Jazz Festival. Do you have a preference – the large ensemble or the small group setting? I don't have a Preference, I enjoy both hugely. But I would say as a performer I prefer the intimacy of the solo and the group improvisation possibilities of a small group. As a composer/writer I enjoy larger groups because you have more possibilities in terms of musical colour, orchestration, more individual voices, and there is nothing quite like the sound of a big band all 'breathing' as one, it can be very powerful. On the subject of Loose Tubes, Jazzwise magazine described Dancing on Frith Street as ‘the great lost live album’. What are your thoughts about live albums in general? Some of my favourite albums are of live recordings, there is nothing like the experience of a live concert but a recording of a live concert is, of course, the neared thing to it. Over the years I have done lots of live recordings and studio recordings, I don't have a preference but I do treat them differently as a performer. I think the studio environment makes you play slightly more concisely or 'to the point', often things which work in a live situation simply don't feel right in a studio, stuff often needs to be changed. And talking about big bands…what do you think of Ben Cottrell’s Beats and Pieces band? In recent times they’ve given two extraordinary performances in Gateshead. Do you see them as part of a lineage – Gibbs, Westbrook, Wheeler, Loose Tubes…? I know Ben and some of the members of his band a little from my teaching activities at the RNCM in Manchester. I don't really see them as part of the lineage you mention, in fact I'm not sure there is a lineage, just good bands with unique approaches. You work a lot in Europe, for example with the NDR big band. Is this an artistic or financially driven decision? Well put it this way, I wouldn't spend 6 months writing 2 hours of music and take it over to Germany rehearse and perform it for no money! I love writing, I learn each time I do it, and fortunately the NDR and the band I work most with, The Frankfurt Radio Big Band, are relatively well funded and they can offer opportunities to people like me. I'm hoping to continue to work with these bands. At the moment, even though I'm in Graz, Austria, I'm finishing another project which is arrangements of Phronesis music which will be performed at the London Jazz Festival in November with the Frankfurt Radio Big Band. From your perspective, is the European jazz scene different, complementary to, or indivisible from that of the British scene? There are some similarities with the various scenes throughout Europe. They are packed with great musicians, especially young ones. There seems to be a relative shortage of places to play, and venues are struggling with audience numbers. Some scenes are well supported by government/arts organisations, such as in Scandinavia, Germany and France and others aren't such as Spain, Italy, and Eastern Europe. There are some differences in terms of the music played too, Norway seems to have a very strong and distinctive voice with an emphasis on sound and space, some countries have a strong connection with a local culture or folk music. I do like the differences in the various scenes. We here on Tyneside have been lucky to hear Kit, Sam and James on a number of occasions in various line-ups. As a composer do you write with individual voices in mind and is this the case with the Tetra guys? Certainly. All the new music I've written (apart from the big band stuff) is written for these guys, I think it’s an extension of the music I've been writing up to now. Because of the huge range of their abilities it’s enabled me to write music I could not have possibly written for others, in fact I think some of it couldn't be performed by others. Do you think Tetra reflects your Spanish ancestry? Indeed do you think your music as a whole is influenced by the music you grew up with or was it always jazz? I think the influence of Spanish music has been part of my musical character for a long time. I wouldn't say I grew up with Spanish music around the house but I have been hugely influenced by Spanish music, especially the music of Andalusia (flamenco). And do you see Tetra as a long term project or do you have other ideas you want to pursue in the future? I see it as a long term project. It feels like a while since I had a working band that was regular and I'm enjoying the development this provides. Thanks, Julian. We look forward to seeing you – and Tetra – at Sage Gateshead on October 26!